Pope's lead Cardinal on new pastoral direction for the family, Amoris Laetitia, to speak at Limerick conference. A cardinal recognised as a lead reformer within the Church hierarchy and chosen by Pope Francis to present Amoris Laetitia – the papacy's letter on the 'family' - will be the star turn at a major conference here next month. 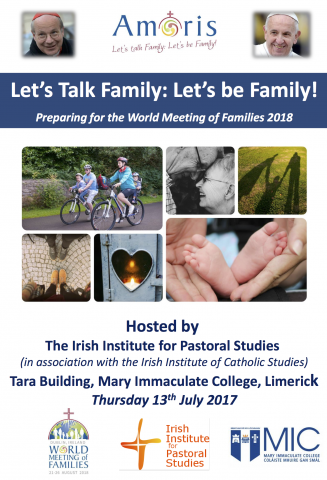 'Let's Talk Family: Let's Be Family', which will be held at Mary Immaculate College,Limerick is the first major conference to be held as part of the build up to the World Meeting of Families next year in Ireland. Key note speaker at the afternoon and evening gathering will be Cardinal Christoph Schönborn, who was chosen by Pope Francis to present Amoris Laetitia following the two Synods on the Family in 2014 and 2015. The Cardinal, who is Archbishop of Vienna, will give two separate addresses, one specifically on Amoris Laetitia and the other, a public lecture in the evening on 'The Parish: Family of Families'. During the afternoon session, also, he will lead an academic discussion on Amoris Laetitia one year on. The event is being organised by MIC's Institute for Pastoral Studies and, according to its Director, Fr. Eamonn Fitzgibbon, will be a timely opportunity through one of the Pope's closest confidants to get a deeper understanding of Pope Francis and the Church's direction on the institution of the family. "The World Meeting of Families next year will be the biggest single event in the life of the Church on this island since the Pope's visit in 1979. The build up to it is of huge importance also as it will effectively provide for an ongoing conversation about the family and how we see it and value it in Ireland. 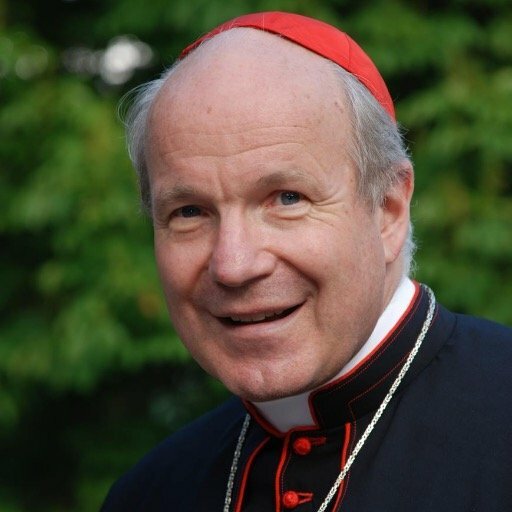 Our conference on July 13th will be one of the biggest platforms to date for that conversation, not least with because of Cardinal Christoph Schönborn. He's as close to Pope Francis as we can get when it comes to Amoris Laetitia, which is a very significant letter from Pope Francis on his understanding of family. "There has been quite an amount of controversy about Amoris Laetitia, with some hardliners in the Church arguing it has gone too far. Others say it hasn't gone far enough. Some say it is ambiguous.Cardinal Schönborn will be able to give clarity to us in a way that no one else can other than Pope Francis. We're very much looking forward to his visit." Fr. Fitzgibbon said that the need for a reforming Church and the leadership of Pope Francis and the likes of Cardinal Schönborn, has never been greater in the context of the family as we know it. "Amoris Laetitia and the World Meeting of Families could not be better timed.It's undeniable that the family, as we have known it, is changing in many respects and challenged like never before in Ireland today. The World Meeting of Families, and the expected visit of Pope Francis in 2018, comes in the midst of a 'perfect storm' for the Church, much of it of its own making, which challenges the Church's teaching on family. "But history has shown us that at some stage in a storm, a shard of light breaks through and Amoris Laetitia is that. And here in Ireland, we have a second ray ahead with the World Meeting of Families. As a Church we need this renewal and family needs this renewal." Amoris Laetitia will be, he said, the frame for the build-up and the World Meeting of Families itself. "The pope's letter on the family is enlightened. It repositions the Church, a more compassionate, embracing and understanding Church, to meet the challenges that family faces. It does not try to set out an ideal family but rather understand the complexity of family as we know it today. Above all, it seeks to, discover how the 'joy of love', the translation of Amoris Laetitia, can flourish in family today. "There's deep understanding in it as it reaches out to divorced people, to marriages of different faiths; it respects people in families with homosexual tendencies. It speaks to our own failures as priests; as Pope Francis stated 'I want to remind priests that the confessional must not be a torture chamber, but rather an encounter with the Lord's mercy'." In addition to the Cardinal's involvement, other speakers at 'Let's Talk Family: Let's Be Family' include Martin Kennedy, a freelance trainer and facilitator with church and community groups who has recently been appointed as Pastoral Programme Coordinator for the World Meeting of Families, and Jessie Rogers, a Limerick based lecturer in Sacred Scripture at St Patrick's College, Maynooth, a Godly Play trainer and on her way to qualifying as a spiritual director. The event opens at 2p.m. and all elements will take place at the Tara Building, Mary Immaculate College, Limerick. The full programme costs €20 to attend, with a €10 fee for the public lecture at 7p.m.